Will Grayson, Will Grayson by John Green and David Levithan. Dutton, 2010, 304 pages. The Strange Case of Origami Yoda by Ton Angleberger. Amulet, 2010, 141 pages. person still reading these books? Don't hear much these days. The Viper's Nest (The 39 Clues, #7) by Peter Lerangis. Scholastic, 2010, 190 pages. This Book Is Overdue! How Librarians and Cybrarians Can Save Us All by Marilyn Johnson. Harper, 2010, 272 pages. Imperfect Birds by Anne Lamott. Riverhead, 2010, 288 pages. The Popularity Papers: Research for the Social Improvement and General Betterment of Lydia Goldblatt + Julie Graham-Chang by Amy Ignatow. Abrams, 2010, 206 pages. 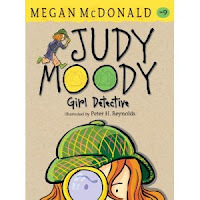 Judy Moody, Girl Detective (#9) by Megan McDonald. 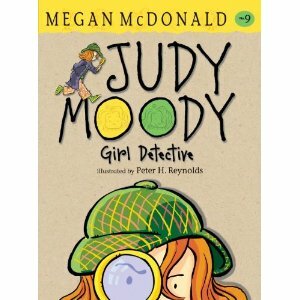 Candlewick, 2010, 192 pages. The Dark Days of Hamburger Halpin by Josh Berk. Knopf, 2010, 256 pages. Northward to the Moon by Polly Horvath. Schwartz & Wade, 2010, 256 pages. Regretsy: Where DIY Meets WTF by April Winchell. Villard, 2010, 176 pages.